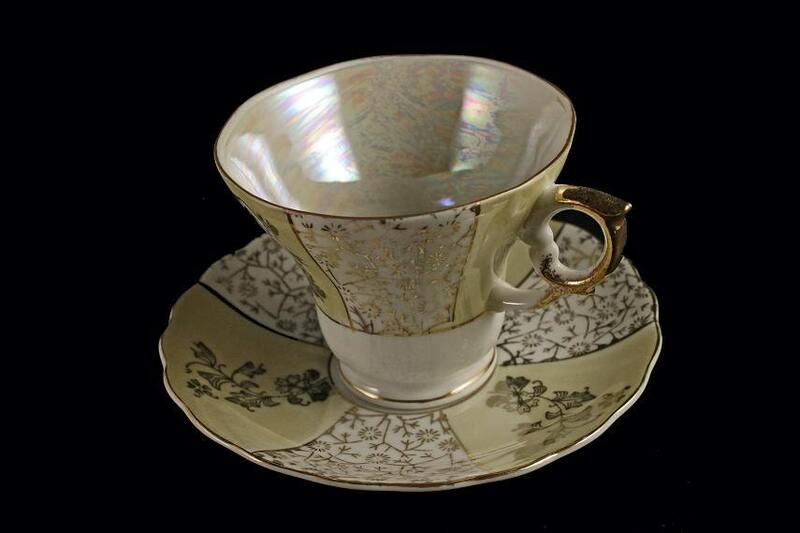 This is a gorgeous light yellow and white opalescent iridescent footed teacup and saucer. 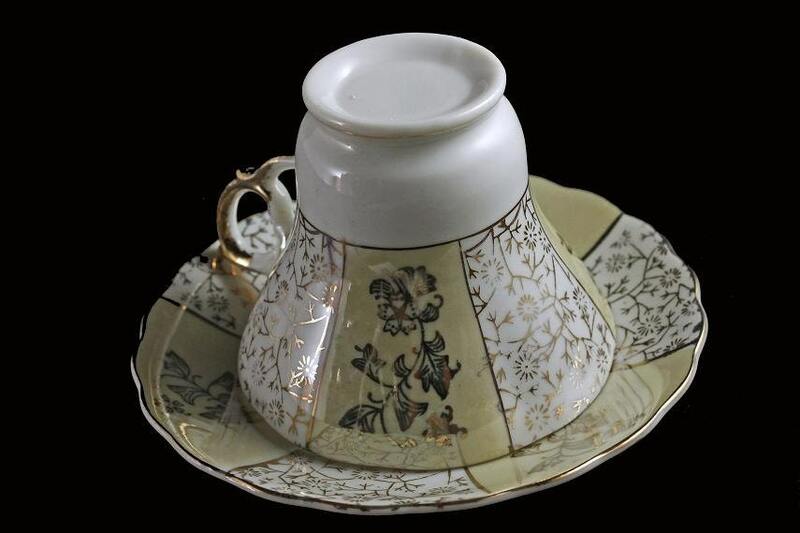 It was imported from Japan by Enesco. 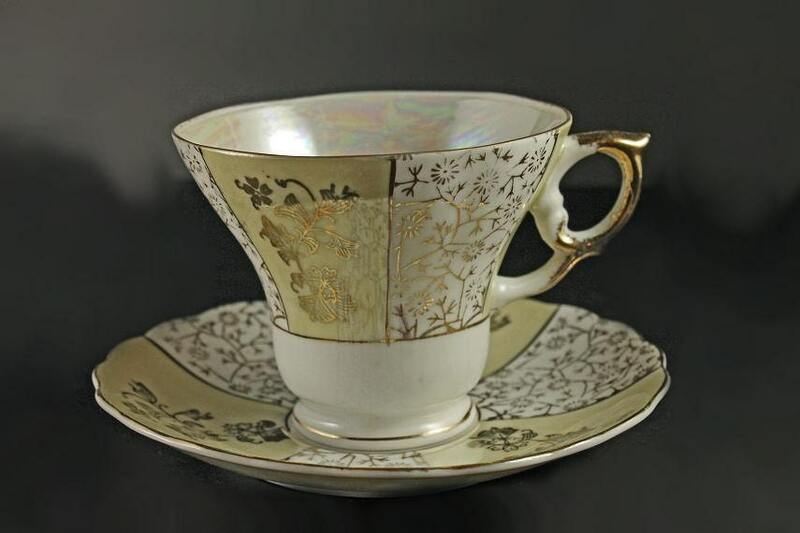 The set has a large amount of gold in the design and the inside is an array of rainbow color. The handle is ornate and trimmed with gold. 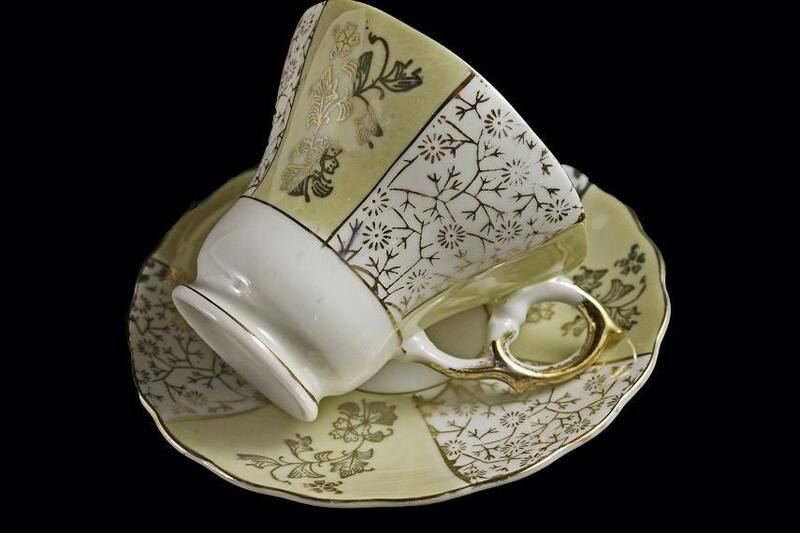 This is an elegant cup and ideal for an afternoon tea. This would great for a collector. 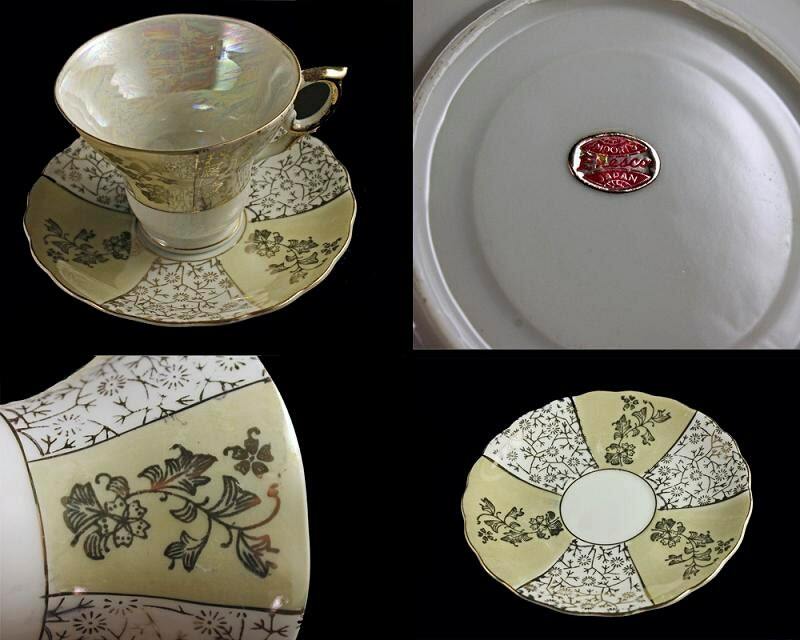 It would make a marvelous gift for a wedding, housewarming, holiday, or special occasion.